Keep your cool as the action on the court heats up in this Gilbert Blaze Netball Tank Top in Black. This netball tank top comes made from a soft and lightweight polyester which wicks moisture away from the wearer's skin leaving them to concentrate on the game. 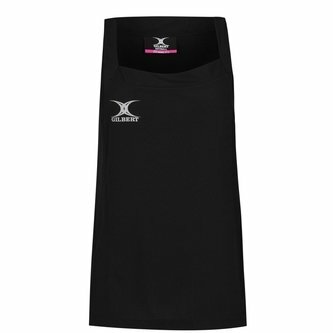 With Gilbert's flat-seam construction to minimise chafing, be sure you're playing in this Gilbert Blaze Netball Tank Top.